Do you think your state has a lot of iPhone users? You might be surprised to learn that you’re right – if you live in Alaska, Montana, or Vermont. This surprising result comes from a survey conducted by mobile advertising firm Chitika, who wanted to quantify the level of iPhone usage on a state-by-state basis. While the data doesn’t show much correlation with geographic or raw population figures, the survey did figure out that the three states had the highest percentage of iPhone users, with 65, 60 and 59 percent respectively. With Apple set to unveil the eagerly-anticipated iPhone 6 later today, that can only mean one thing: that the public launch of iOS 8 isn’t far away. And chances are that OS X Yosemite’s not too far behind it, either. 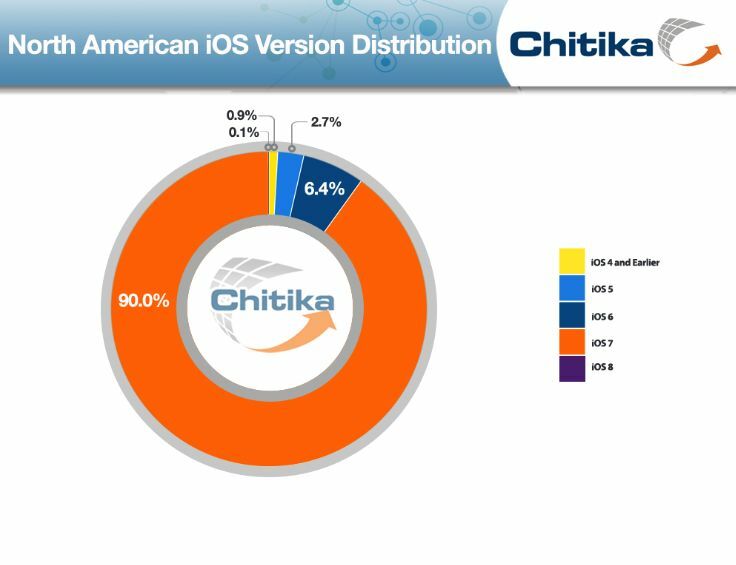 As both of Apple’s operating systems are set for a refresh, Chitika Insights has run the numbers to examine iOS and OS X version distributions at this exciting juncture for Apple: sampling tens of millions of U.S. and Canadian online ad impressions running through the Chitika Ad Network. The numbers, catalogued between August 25 and 31, show that a massive 90 percent of North American iOS Web traffic comes from devices running iOS 7, largely thanks to Apple’s update strategy of directly prompting eligible users to upgrade. 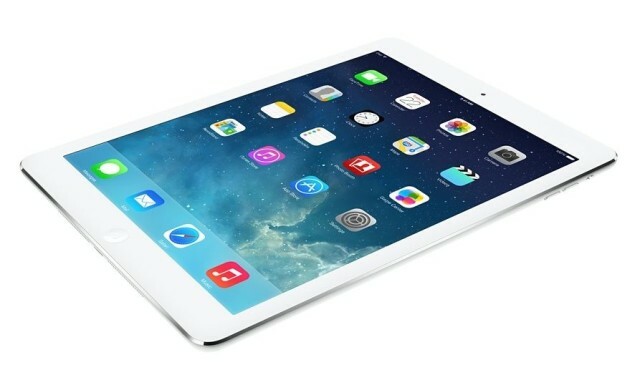 The 2013 iPad Air was an obvious design influence on the iPhone 6. With a great quarter behind Apple and massive refreshes of both iOS and OS X in the near future (along with a little something called the iPhone 6) Tim Cook is unlikely to have a lack of things to crow about during today’s earnings call. If he is, however, maybe he can bring up the fact that — despite increased competition — the iPad is still driving a massive majority of tablet web usage, as measured through ad impressions. The data was collected by research firm Chitika Insights, who sampled tens of millions of U.S. and Canadian ad impressions between July 1 and 7 this year. They found that the iPad accounts for 78.0% of all tablet ad impressions — up from the 77.2% the iPad represented back in April, and one of the largest quarter-over-quarter increases for any tablet brand. 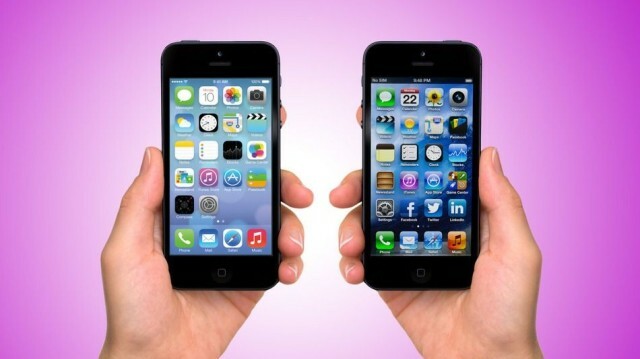 iPhones represented 48.9 percent of the UK’s smartphone-based web traffic in Q2, according to a new study by Chitika. While Samsung came in at the expected second place, its percentage (22.8 percent) was much closer to BlackBerry’s (16.8 percent) than it was to Apple’s. The rest of the numbers were made up of HTC, Nokia, Sony, Google and Motorola handsets. This is likely to be disappointing for the South Korea-based Samsung, which has recently been investing heavily in marketing its smartphones in the UK — including a “rebranding” of London’s Heathrow airport’s Terminal 5 in order to promote its latest Galaxy S model. Yesterday Cult of Mac revealed that Samsung’s new Galaxy S5 smartphone was outsold by both the iPhone 5s and iPhone 5c during the month of May: the first month Galaxy S5 was on sale in the country. Forget about a close run race — the iPad is absolutely obliterating Android tablets when it comes to web traffic stats. 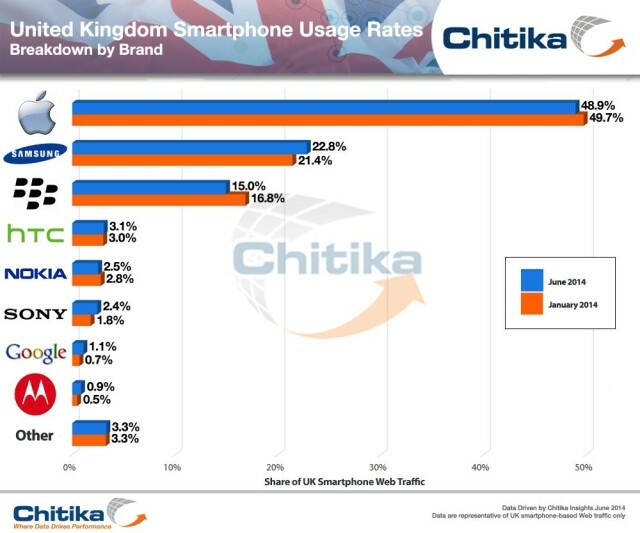 The data, which comes from Chitika Insights, looks at the distribution of Web usage across leading tablet devices for early April 2014. Based on a sampling of tens of millions of U.S. and Canadian tablet-based online ad impressions, it leaves no question who’s ruling the tablet roost. Many of the stats we have about iOS marketshare and demographics come from third-party companies, most of whom are tracking ad impressions within their network. As such, their stats have the potential of being inaccurate, and need to be taken with at least a little bit of salt. Looks like online ad network Chitika can be trusted though. 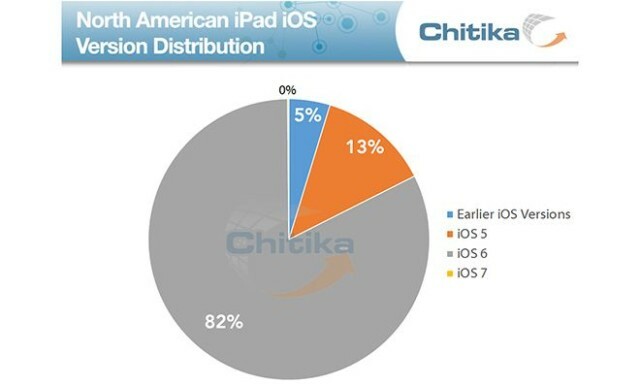 Earlier this week, we reported that Chitika was now tracking 74.1% of all devices as running iOS 7. 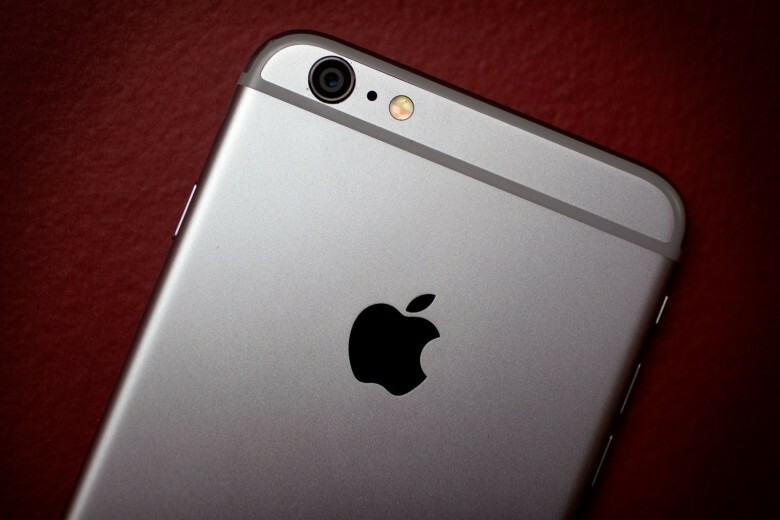 Now, Apple is backing those numbers up, and it makes Google look pathetic. In the Apple world, records tend to be exponentially shattered. For example, if it took three hours for WWDC to sell out last year, it’ll probably sell out in three minutes this year. 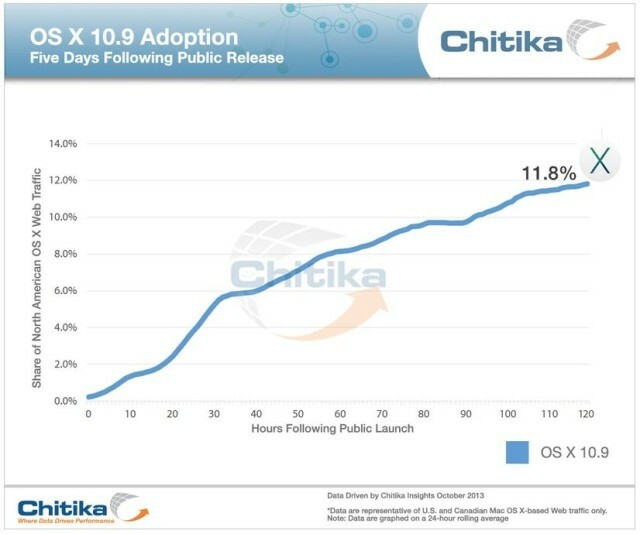 Last year, it took five weeks for OS X Mountain Lion to be installed on more than 10% of all Macs. Guess how long it took this year? After refreshing its iPad lineup in the fall last year, rather than summer, Apple set itself up to go through a June quarter without a new iPad launch for the first time since it was introduced in 2010. Analysts are expecting Apple to announce that year-over-year iPad sales last quarter were down, but one thing that’s still up is iPad usage. 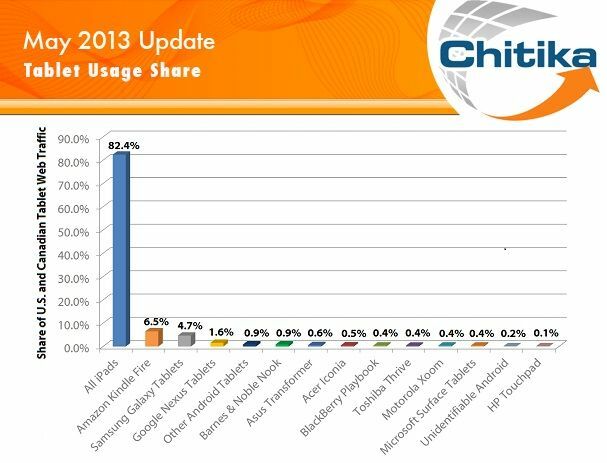 According to the latest stats from the Chitika ad network, iPads now account for 84.3% of all web traffic from tablets in June. That’s just a slight bump up from the 82.4% Apple hit in May, but it’s the iPad’s highest share of tablet web use this year. 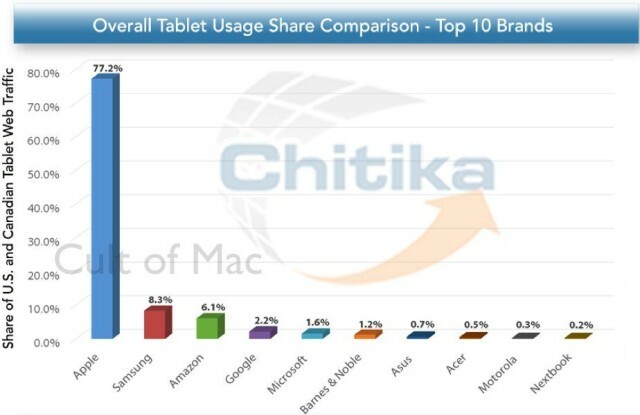 The iPad continues to dominate all other tablets in web usage in North America, according to the latest study from Chitika.